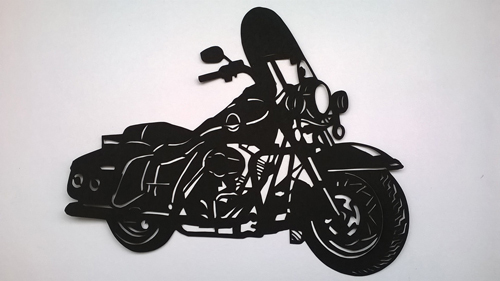 Plain paper, creative mind, pencil and some cutting tool- That’s it. Manisha Kulkarni can prepare a canvas of beauty just with these few things. To know how she became such a wonderful artist read the complete session she had with us. Welcome to the platform of Indiacafe24.com. We are happy to have such a talented and creative artist with us. Manisha, will request you to introduce you to our readers? I am Originally from Mumbai and native place is Nasik. After having finished my Masters in Mass Communication I always wanted to be in Print Media, so I worked for advertising agencies and Media houses like The Indian Express, Living Media (India Today). After 10 years of Media profession in Mumbai I took a break for my daughter. I was always creative but never tried my hands on Paper. 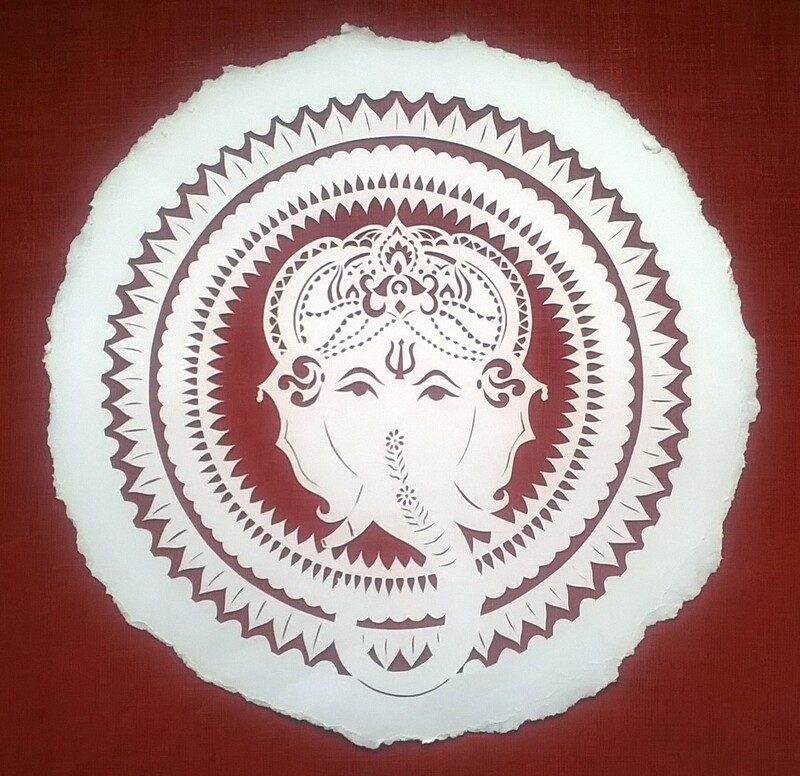 But I was highly impressed with the form and then my passion for the art became journey of Paper Karigar. 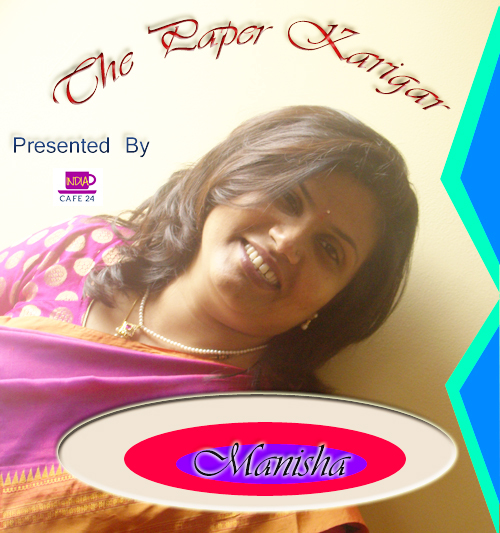 Whats the essence of Paper Karigar and when and how this project was born? My inclination and passion for art turned into my profession. Very few are lucky like me who get their hobbies as their profession. It was destined and even thoughtful decision to be at home with my daughter. 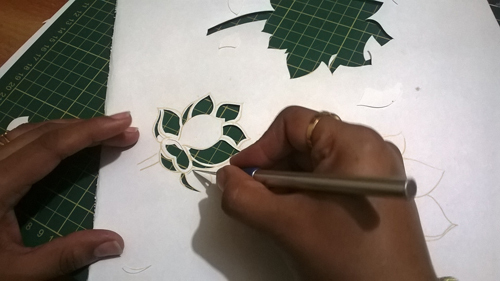 And then along with my daughter inception and growth of Paper Karigar started. 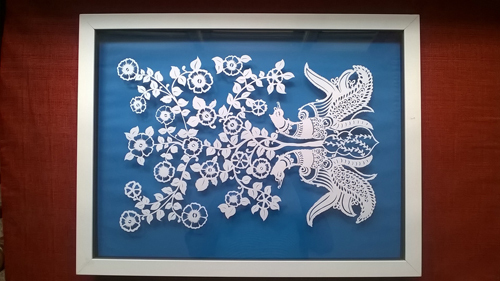 I started making Paper cutting art and started sharing it with friends and family and surprisingly it was acclaimed and appreciated by them. Like this I started selling and slowly turned it into customized orders and profession. 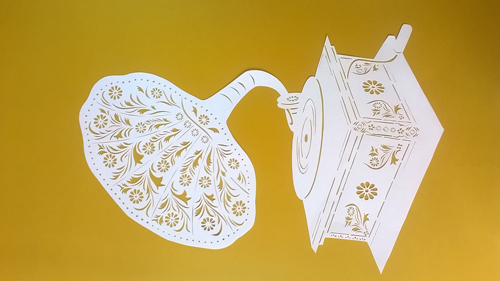 Intricacy and novelty is essence of Paper Karigar. Who is the one who inspired you in turning your passion into profession? My husband. He himself is a creative person and he motivated me to follow my liking and passion. My first post on Facebook was his idea and initiative. He is my friend and philosopher and guide of my life. Feeling is obviously awesome. People see and first reaction is “stencil? / Glass Painting? 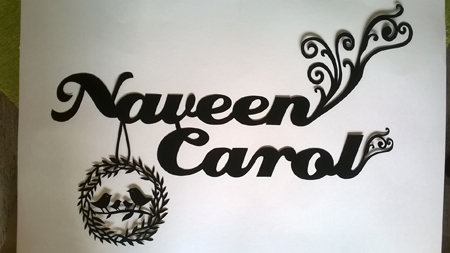 Ohhh laser cutting?…and then when they come to know that its paper cutting….Its always a big “WooooooW”. People frequently ask do you cut by yourself? Do u cut it with hands? OMG so much of patience…!!! 90% my work is admired and loved but some say ohhhh paper… ok.
Do you conduct exhibition or workshop for your artistic work? If yes, then how people respond towards your art form? Yes, I do conduct and people are really enthusiastic and appreciative. I am so glad to be into this. This art form has given me loads of love, appreciation and fame, and a joy of discovering “ME”. So commercially it is a hit. The task is not easy to establish any art form in the mind of creative people, so what obstructions did you face in your path of growth? Honestly nothing much I did. The art form is so elegant and striking that it attracts people’s attention. I have to just concentrate on my work. Job is done there. India is culturally strong country and every Indian understands artisans. They assess the piece very well. At times its difficult to explain the hard slog, time and energy gone into a single piece. I have many Indians and foreigners as my clients. But still that readiness to pay the value has to come. 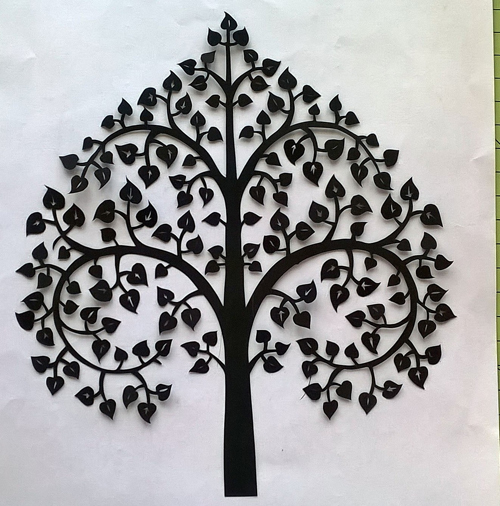 I use Paper, Paper cutter and pencil to form an attractive art piece. Its very important for all the readers and art lovers to know about this. 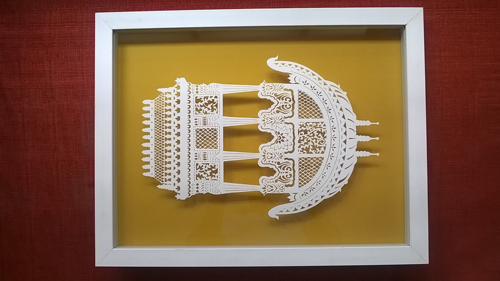 The criteria defined are size of the finished art piece, intricacy of the work and ideation, innovation and uniqueness. That’s all !!! If anyone request you for a customized design using your art style can you do? Customized pieces are real challenge. In customized orders people come to me with their liking and choices of a subject and after that we discuss further to understand the need and that gives me a path to create their choice of art pieces. Cooking, its like meditation for me. What are your plans 5 years down the line for expanding Paper Karigar? I dream and wish to have my own studio and an online store for my art pieces. 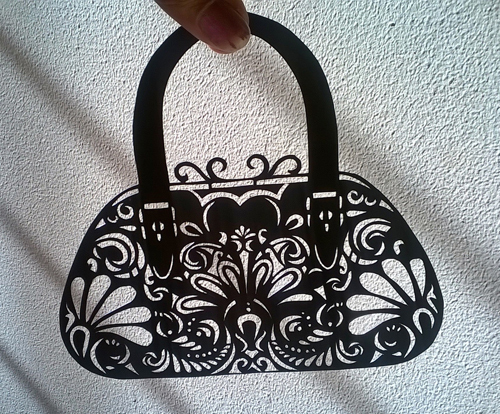 I wish to explore paper cutting in different forms like Lamp shades, Wall partitions…etc. I just don’t want to get stuck with wall décor. But would surely explore more…there is a looooong way to go to fulfill my dreams. I wish to teach this to my 6 yrs old daughter. Whats the secret behind the perfect balancing of your personal and professional life? I am the only artist in my family !! And you won’t believe I am so lucky to have such a fantastic family and especially a husband who is always by my side. Never ever I have faced any difficulty to express my ideas to my family and I am always being appreciated and motivated. A big thank you to GOD, for giving me such an amazing husband, and a wonderful family. Having said that, my husband and daughter are my first critics. I manage my work from home and every adjustment is made by my family without me requesting for the same. 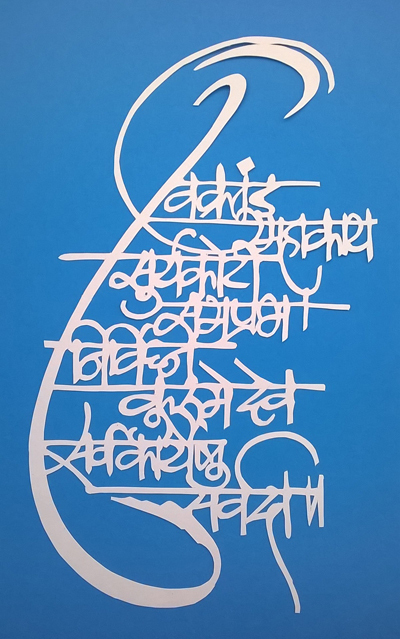 Define the paper Karigar artist – Manisha Kulkarni in one line? Simply superb, well done ? When i saw few art peices made by my frien, really became a Fan of her karigar. Dont have any words..its hard to explain!! Whatever she does is with dedication and a challenge.. Keep it up!! Excellent piece of art ?